Amanda was born and raised in Albuquerque, NM and grew up surrounded by a large and close-knit extended family. 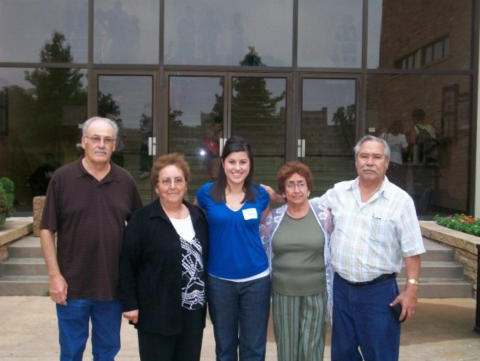 Upon graduation from Rio Rancho High School, Amanda left New Mexico to attend the University of Tulsa. There she obtained a degree in international business and Spanish, becoming the first person in her family to graduate from college. After college, Amanda began a corporate career working as a supply chain coordinator for ConocoPhillips in Houston, TX. After working in Houston, Amanda returned to New Mexico to continue her career with ConocoPhillips as a supply chain lead and eventually as director of stakeholder relations for New Mexico. 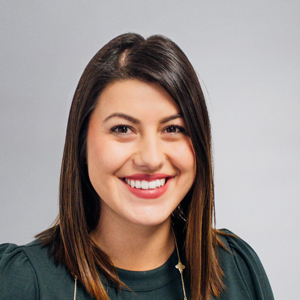 While working in Farmington, Amanda completed the Leadership New Mexico Connect Program and was named Albuquerque Business First’s top business professional under 30. After six years in the energy sector, Amanda sought to serve her home state of New Mexico and accepted a job as the director of strategic outreach for the New Mexico Public Education Department. After completing the 50CAN Education Advocacy Fellowship in 2017, she launched NewMexicoKidsCAN as the founding executive director in 2018. When he was 16, my great-grandfather left the world he knew in Mexico to come to America. By making that bold decision, he provided a great opportunity to every member of my family: an opportunity to pursue and achieve the American Dream. The wisdom and the fortitude it took to make that decision is truly something that I have trouble grasping. To me, he is the definition of legacy. With one bold act, he changed the trajectory of an entire family, creating a ripple that will forever move through the fiber of our family. My great-grandfather and his legacy remind me that one person—that every person—has the power to create great change and to positively impact the lives of others. There is no lever in the United States that can effect change the way that education can. Having the opportunity to learn more about the ways to improve education from some of the very best thought leaders in the country, while developing plans to impact my community, my home…I simply can’t imagine a better way to spend my time. I’m a proud product of public schools. I attended public schools from K-12, just like my grandparents, my parents, my siblings, my cousins, and the newest generation of my family: my nieces and nephew. I believe in the promise of education as a means of providing every child with an equal opportunity to learn, grow and thrive. Saying no. I inherently want to be everywhere, see everything, be with everyone. The fear of missing out runs deep, which makes it difficult to say no even when I know I should. I push it as hard as I can, for as long as I can, until I run out of steam. Unfortunately, when I am worn out and overextended I don’t bring my best self to the table. This picture of all four of my grandparents and I on the day before my college graduation represents the profound intersection of education and family. Their pride in watching their family grow, learn and accomplish life-altering achievements is something that I will never forget.